Merry Christmas! No, I’ve not completely lost my mind. Merry Christmas! There are many things that can be considered difficult teachings in our Catholic faith. 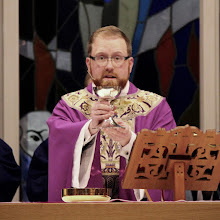 One of those teachings is about the Eucharist - the idea that God would or could be present in what seems like a little piece of bread or a small sip of wine. That is very difficult to believe. Another difficult teaching centers on Christmas. In thinking about, and praying over, the idea of difficult teachings, Christmas kept coming to mind. Fr. Dickman - the associate pastor at my parish when I was a child had a saying that was difficult for all of us: parents and children alike, to believe. He was fond of saying, particularly at school Masses, “Christmas is every day of the year.” Every day! I found this difficult to believe, and probably many of the other children as well because there weren't presents every day, so how could it be Christmas every day? The parents too probably found it hard to believe their Children were being told that Christmas was every day! The real difficulty about Christmas is in fact that it is not just a once a year thing. The reality of Christmas is that God came into the world, freely took on humanity and suffered death for our salvation. That is far from easy to believe and yet as Christians we know it is true. An infinite all powerful God became a human being just like you and me, and he choose to do it. From the very beginnings of Christianity, it was full of hard sayings. Over the past five weeks, we have listened to what is often called the Bread of Life discourse, the sixth chapter of the Gospel of John. This chapter offers some of the most profound teaching surrounding our belief in the true presence of Christ: body, blood, soul, and divinity in the Eucharist. 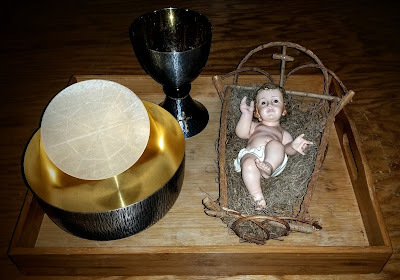 We have heard a lot about the Eucharist, had its importance proclaimed for us, and now that we have come to the end of this Bread of Life discourse Jesus has an ultimatum for us. We are challenged to believe what Jesus has said about himself, being the food of eternal life, or leave like the rest of the disciples who found that teaching too hard to believe. It is hard to believe that the entirety of God-made-man exists in a small piece of consecrated bread, or in a little sip of consecrated wine. If we believe in who Jesus is, however, how much more difficult is it to believe in the Eucharist? Not that much harder to believe, God has already shown his desire to take on a lesser form for the sole purpose of our salvation. 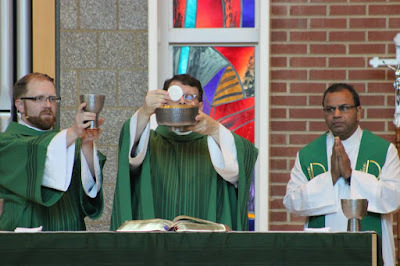 There are three moments in the Liturgy that I want to point out to highlight the importance of the Incarnation in relationship to the Eucharist. 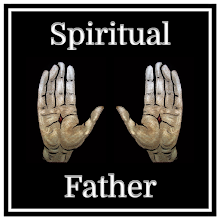 (1) When we say the Creed, following the homily, we get to the part “by the Holy Spirit was incarnate of the Virgin Mary, and became man” we will bow in recognition of the Incarnation. The Eucharist is not even mentioned in the Creed, our basic statement of faith and the Eucharist - the source and summit of our faith - is not even mentioned. The Early Church Fathers certainly believed in the Eucharist. Perhaps the Eucharist was not included was the connection between who Jesus is, and what he said about himself, that assures our belief in the Eucharist. (2) Secondly, you may have noticed that at the altar, after the procession with the gifts, the deacon pours a little water into the chalice. What you may not know is that there is a prayer that is to be prayed quietly at that point. That prayer is “by the mystery of this water and wine, may we come to share in the divinity of Christ, who humbled himself to share in our humanity.” We are asking to share in the Divinity of God, to become more like Christ, to become more like God, the one who saves us from our sins. That is something that is most likely quite difficult to accept, the idea of becoming more like God! (3) The final moment of the Mass is communion itself, especially what happens when we say Amen. What is hard to believe is not only the reality of the Eucharist that we agree to, there is also what is going on in the gaze between the minister and the one receiving communion. 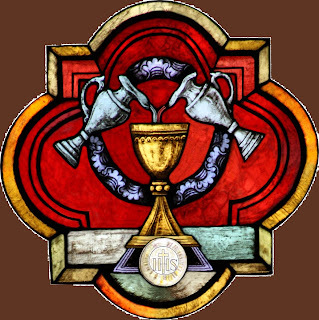 If done intentionally the words Body of Christ, or Blood of Christ are said looking at both the Eucharist and the one who is to receive. The person handing out Communion is agreeing to see the person in front of them as the Body and Blood of Christ. That person then answers amen while looking at the Eucharist and the one giving them communion. By saying amen the person receiving Holy Communion agrees to be seen as the Body of Christ and agrees to see the other person as the Body of Christ as well. Talk about a difficult saying to accept! We are being taught, by the Mass itself, that we are called to grow in seeing Christ in ourselves and each other! Very hard to do at times! People want to be comfortable. Accepting the idea that God desires to dwell inside of you so much that he calls you to a higher way of living is not comfortable at all. On top of that there are all the other difficult teachings of the Church. Teachings that many people struggle with at one point in life or another. One example of these teachings is found in our second reading today. In that reading, Saint Paul talks about wives submitting to their husbands. The point that Saint Paul is trying to make is that we, the Body of Christ, are called to submit to the Church - the Bride of Christ. Saint Paul uses cultural norms to make this point, but either way it is a hard teaching to accept. There are plenty of Church teachings that are hard to accept; we can not struggle with them and remain comfortable at the same time. What makes receiving the Church’s message difficult doesn’t end with the teaching alone. Unfortunately at times the teachers themselves present a challenge. The teachers are human, I am very human, and we make mistakes. It is so easy to look at the ones teaching the Good News and see them as a bunch of hypocrites and people not worth trusting. Not only are the teachings hard, but listening to the teachers is sometimes even more difficult. With all of this difficulty there maybe, at times, a reason you might think about leaving the Catholic Church. It may be because of a particular teaching, or even because of something that a leader of the Church did, or didn’t, do. 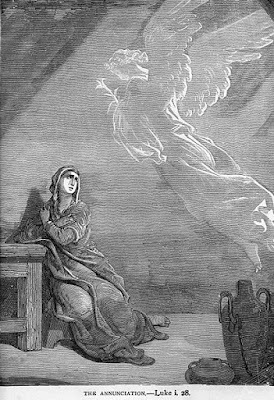 Peter’s witness in the Gospel helps to remind us that we have nowhere else to go. We can connect with those words when Jesus challenged them to stay or leave “Master to whom shall we go? You have the words of eternal life!” Lean into these words, this realization of where home is. Return to the central feature of our faith - that call to conversion found in the Eucharist. 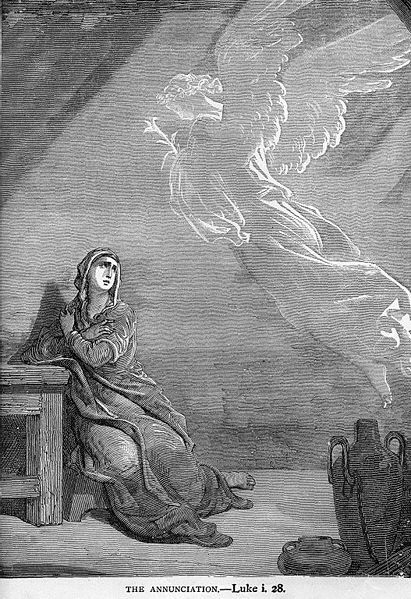 You may want to look at the Bread of Life discourse, John 6, at times when you feel confused, angry, isolated, disconnected from the Church. Read the words of everlasting life found in that chapter. Pray those words either by yourself or with your family. Allow them the chance to encourage you back home. When in doubt, you can return to the words of everlasting life, and say to yourself, Merry Christmas!